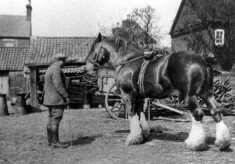 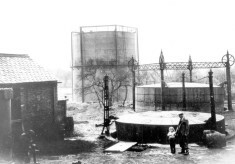 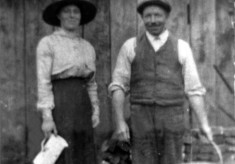 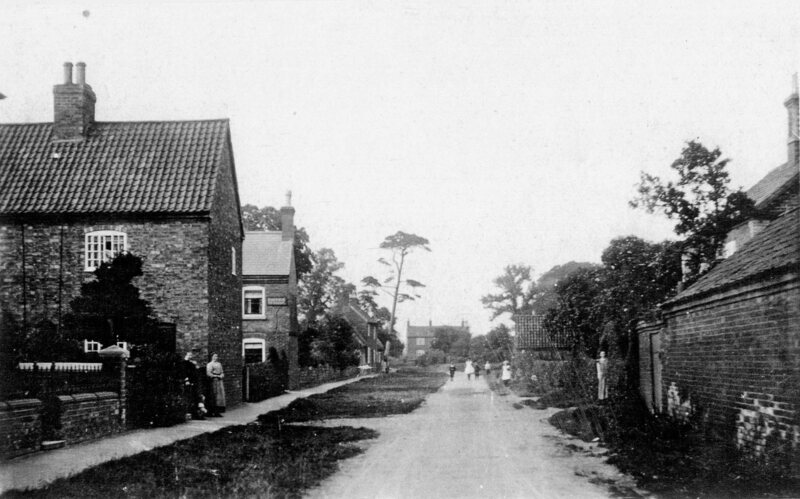 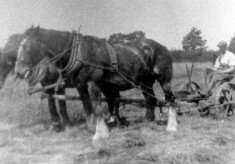 These pictures have been chosen from over 400 photographs left with the Bottesford Local History Society by Dr Michael Honeybone (see thumbnail image) and his wife Dr Diana Honeybone, who lived in the village for several years before moving to Norwich. 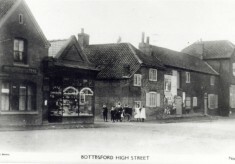 They founded the Bottesford Local History Society in 1971, and have been its joint presidents since they left the village in the late 1990s. 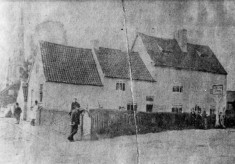 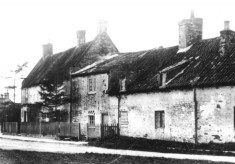 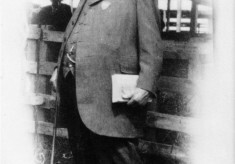 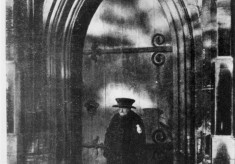 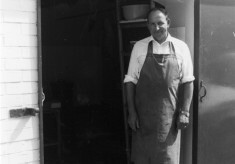 Dr Honeybone was the author of local history books about the area, including the Book of Bottesford, the Vale of Belvoir and the Book of Grantham. 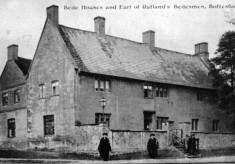 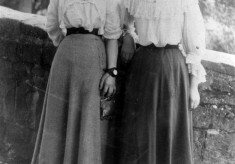 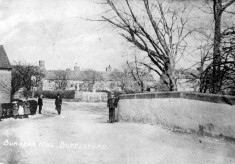 Many of the pictures included here were originally reproduced in the Book of Bottesford. 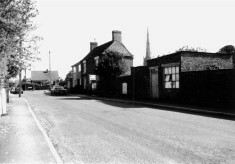 The pictures can be divided into three sets, being old pictures the village residents lent to Dr Honeybone, pictures taken by hom during the 1970s and 1980s, and pictures contributed to his work by local photographer Ted Rayson. 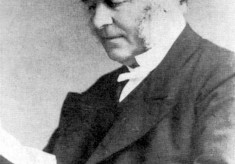 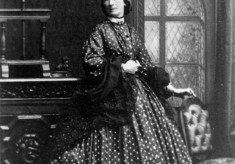 Mr Rayson retains sole copyright to all his photographs, and we are anxious to identify those which are his and urge that his rights be respected. 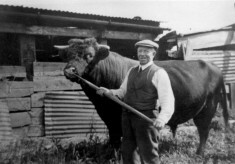 Farmer Harry Daybell driving his prize pigs. 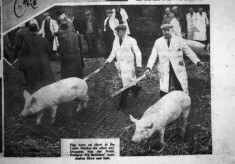 In white coats Harry Daybell (left) and Burt Salisbury of Knipton (right). 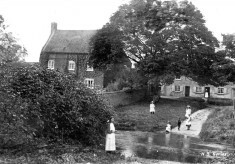 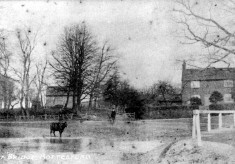 This old picture shows the ford through the River Devon, with Providence Cottage on the right in the background. 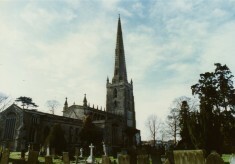 Seen from the northeast corner of its large churchyard. 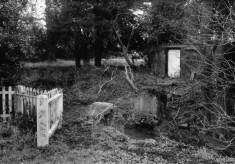 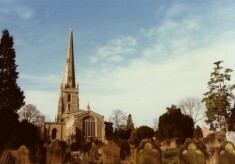 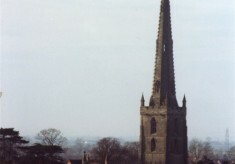 This photo shows the eastern end of the church amidst its churchyard whose stones date back to 1669.